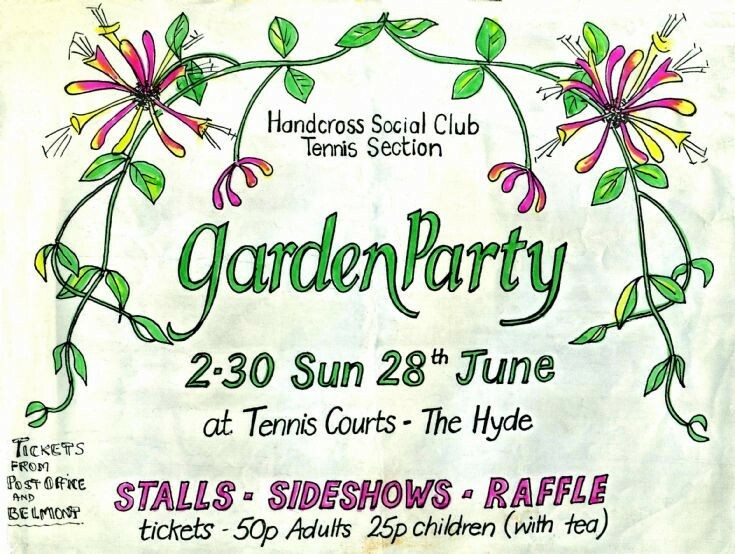 The Handcross tennis club held their annual garden party in June 1981 at their headquarters on the Hyde estate and the artistic poster gives further details. The number of members had been declining in the early 1980s and this culminated in the AGM held in February 1983 being attended by just three persons, being the chairman Roger Ray, secretary/treasurer Nora Ray, and just one other member. Select Large Version to view a copy of the sad letter sent by Nora Ray to the Handcross Social Club, to which the tennis club was affiliated.